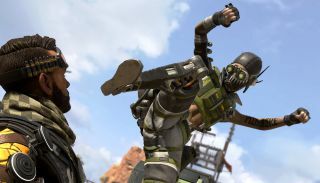 Apex Legends may have only been about for a couple of months but already players are finding new and ingenious ways to get around the maps—using the lids of supply crates, of all things. Apparently, repeatedly punching the lid of an open supply crate will cause it to launch you high into the air, in the same direction that it was punched. Reddit user Headbed, who discovered this bizarre bug admits that he doesn't know how or why it works. "I have no idea. All I know is punchy punch the lids and hop on them and it works for some reason."